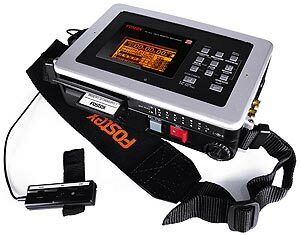 IF YOU ALREADY OWN AN FOSTEX FR2-LE YOU MAY STILL PURCHASE SOME OF ITS ACCESSORIES FROM OUR FR2-LE WEBSHOP BELOW. 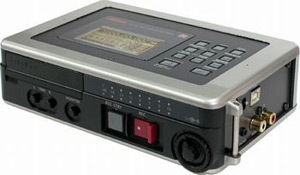 The FR-2LE is a compact field memory recorder for professional use offering 24bit 96kHz recording in the industry standard BWF file format. 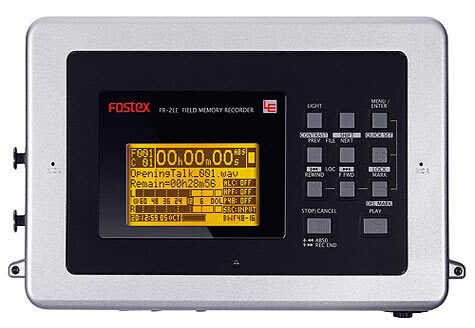 It has a good pedigree given Fostex's previous success with their DAT portables (PD2 & PD4) and latterly with their solid state FR-2 and its optional full timecode facility. Now with their latest FR-2LE, they have an even more compact offering for high quality field recording, interview recording (MP3 mode also available), or simple film/broadcast audio recording. The FR-2LE is equipped with two professional phantom powered XLR microphone inputs (XLR-Jack combo) complete with precise control over the recording level. It features a 1 take = 1 file recording system which eliminates overwrites and its 2 second ‘pre-record’ buffer means there should never be a missed take or lost soundbite. There’s also an MP3 mode and built-in stereo microphone. The FR-2LE can run for up to 4 hours on 4 x AA Alkaline batteries and up to 8 hours with the optional NiMH BATPACK battery pack. A choice of two BATPACK chargers are also available - one for the mains and one that also charges your pack from a 12V car outlet. Over 6 hours @ 16bit 44.1kHz recording on an 4Gb CompactFlash card. Dual XLR inputs (XLR-Jack combo) with top quality microphone pre-amps, trim control and phantom power. Analogue out is provided on phono (RCA) connectors. Record up to 24bit 96kHz audio. Manufactured from high-grade materials and specifically designed for professional location recording.